Hitler mini-series "clearly the portrait of a monster" Jewish groups and the Texas television stations who have refused to air CBS's "Hitler: the Rise of Evil" don't need to worry that the mini-series will help swell the membership rolls of neo-Nazi groups. "[Scottish actor Robert] Carlyle's creepy, charisma-free performance of Hitler," writes Reuters columnist Arthur Spiegelman, "as a rigid fanatic with eyes as hard as black rubber is not calculated to win converts." "Hitler" producer's firing proves his point In comparing the current political climate with the one that prepared German for the Nazis' ascendancy, Ed Gernon told TV Guide" It basically boils down to an entire nation gripped by fear, who ultimately chose to give up their civil rights and plunged the whole world into war." Let's see, in a post-9/11 America, the Bush administration heightens the peoples' fear factor with the Weapons of Mass Destruction straw man, which leads to the imposition of such anti-civil libertarian measures as the Department of Homeland Security, the Office of Information Awareness and the so-called Patriot Act, intolerance towards and persecution of anyone questioning what is transpiring becomes more acceptable and an unjustifiable war is widely supported without question. Note: For those not familiar with the Real News 24/7 position on the World War II era, it is our position that the research indicates that Communism, Nazism, and Zionist were all Jewish-financed and Jewish-operated movements (Nazism was basically led by half-Jews) -- and that World War II broke out when infighting occurred between the super-criminals on all sides: that is, between Stalin (Communism), Hitler (Nazism), and Roosevelt and Churchill (Zionism). 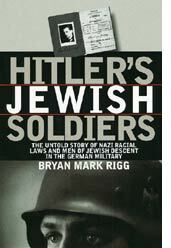 Strangely enough, the overt Zionist leaders were found at times working behind the scenes with Nazism. While this may seem hard to swallow at first glance, watch for more special reports. * We have not been able to decide which faction -- the so-called Anti-Defamation League of B'nai B'rith types or the Neo-Nazi groups like the Aryan Nations -- is more unsettled by our take and by the research we are bringing forth. * See the special report Jews Against Zionism: The Hidden Protest for more information on Zionist collaboration with the Nazis.